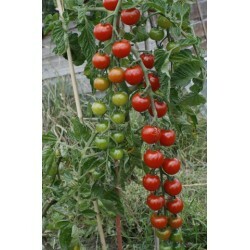 Buy 100 tomato seeds for only 99p; in our UK based online shop you will find many unusual, traditional and heirloom varieties. Whether it is a bite sized fruit you are after or a large fruit to grill, we have all different types available. 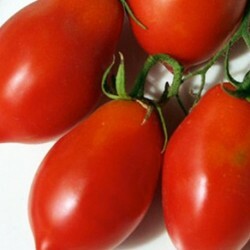 Growing tomatoes is not hard, you can even plant them on your balcony or patio in pots or different containers. Wether you are a novice gardener or experienced grower, you will find some interesting seeds online. 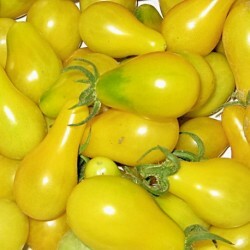 Our selection includes unusual black, some incredibly sweet yellow and the usual red tomatoes, so you can choose what the best for your garden is. And our seed shop is one of the cheapest online, so you have the opportunity to grow your own fruit and veg at bargain prices. If you want to grow the plants in the greenhouse or polytunnel you can start sowing tomatoes as early as February inside and if you will be growing them outside it is better to wait until April. 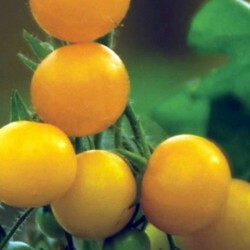 The tomato seeds need a bit of heat, 18-30 Celsius, to sprout, so leave them in your house in a heated seed propagator or late sowings can be done even in an unheated greenhouse in April. When the seedlings have 2 pairs of true leaves, plant them into individual pots. 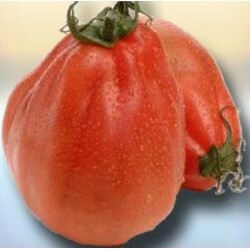 Start planting out your tomatoes from late June onwards when all risk of frost has passed. Remove the side shoots as the plants grow and tie the main growing stem to a supporting cane. 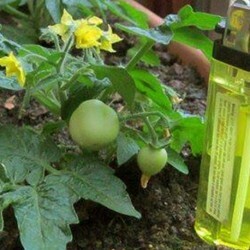 For the best harvest feed the tomato plants with liquid fertilizer once a week.